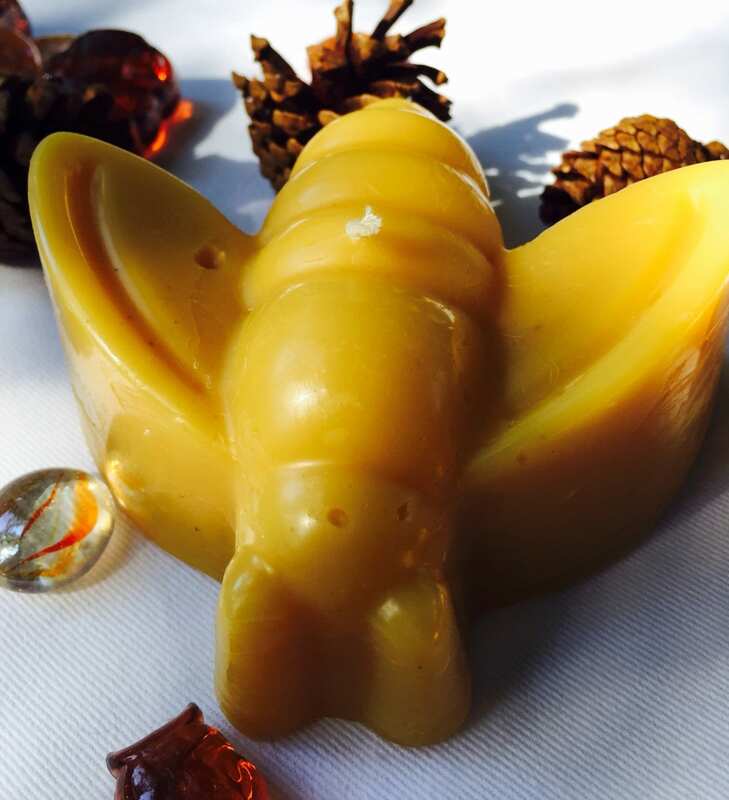 This is a super fun honey bee candle. 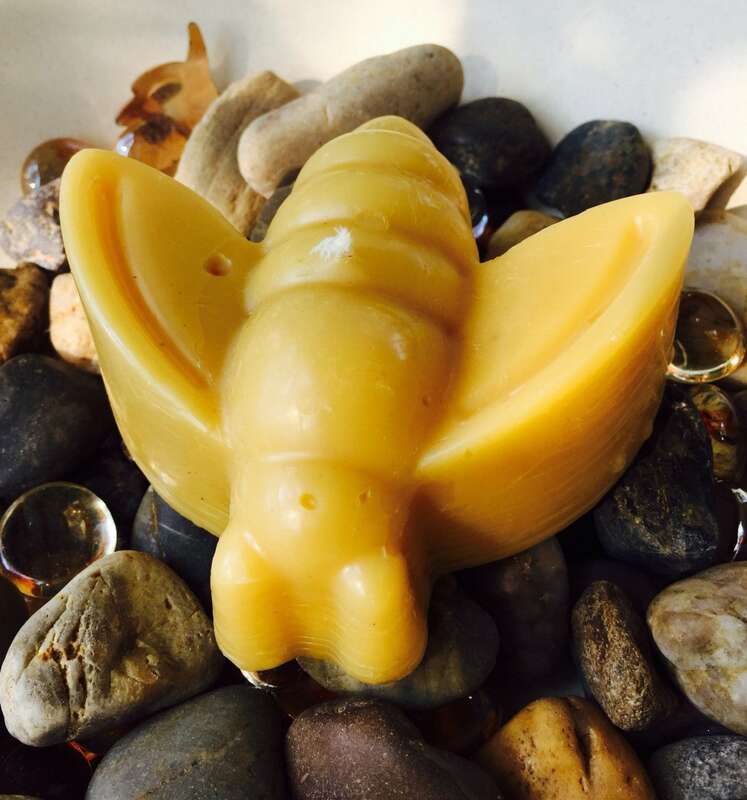 100% pure beeswax lightly scented with Heilala vanilla from New Zealand. 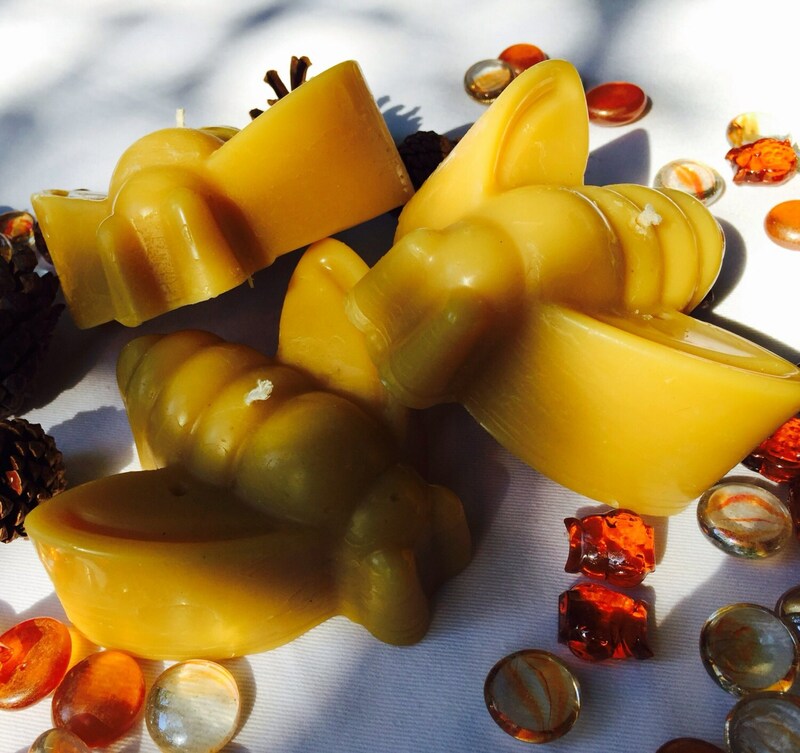 Perfect for all the bee lovers in your life. Long burning and no drip. 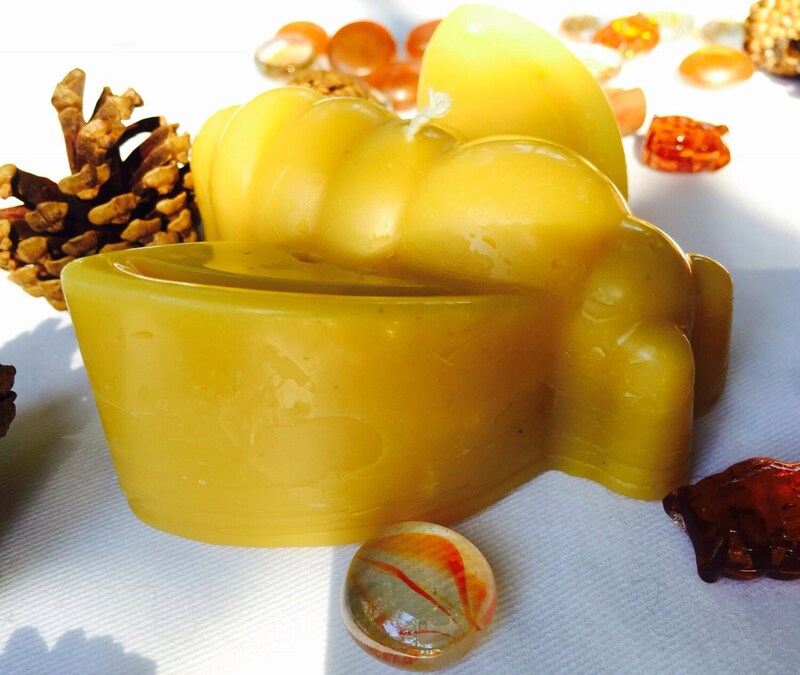 The vanilla mixes with the natural honey scent and the result is subtle sweetness. Like you've been baking yummy sugar cookies. It is a full 6ozs and it measures 3.75" x 3.75" x 1.5". Thank you for the candles and lotion, and the ability to pick up locally. These have strong scents. My mom loves the designs. Love the vanilla and the bee is so cute! Nt sure I want to burn it!! 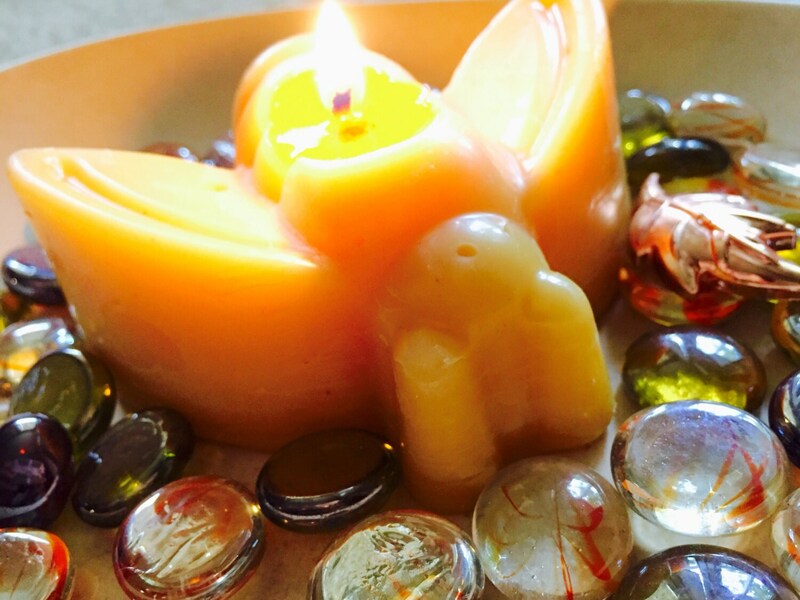 This honey bee vanilla scented candle is divine! The fragrance is sweet and subtle, but enough so you know it's there. The scent isn't overpowering, but rather very calming! Thank you for the small sample candles as well!